If you are a beginner or are just curious to see how you like rotary tools for carving wood, I recommend the WEN 2305 since it is the lowest priced option available. Without committing to an investment like the other options, the WEN 2305 carves wood well and even more so with the flex shaft attachment and will provide a better understanding of what to expect from a rotary tool if you haven’t already used one. You are sacrificing minor comforts and precision that the Dremel 3000 provides, but for a fraction of the price it’s a steal. 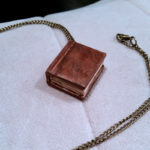 Cutting is the method implemented at the very beginning stage of the project and helps narrow down the size of the wooden block to help prepare it to be roughed out. It is designated to cut at a 90 degree angle when a cutting wheel accessory is attached. Roughing is the process of removing large portions of wood that help it reach a general shape. An aggressive wood eating accessory that attaches to the rotary tool is called a burr bit; it has exaggerated rough edges, ridges, and comes in different shapes (sphere, cylinder, cone) that make it all so easy to use on any wood. Shaping also uses bits to add detail to the wood carving project, however the size of the bit is what determines its purpose (small bits are less aggressive and provide better precision). Sanding is the last process of any wood related project (unless you add a finish) and the best rotary tool for wood carving has an attachment for that too! These combined methods for power wood carving tools are similar to traditional hand carving, but instead of keeping up with a bunch of knives the rotary tool uses burr bits. The best wood carving burrs come in different shapes depending on their purpose, and you can even get an idea what each type is used for. There is no one set of the best wood carving bits, and there’s so many that you might even end up spending more on them than the actually rotary tool. Even though rotary tools are fully capable of shredding more material types than just wood, I’m going to be focusing on what the best burr bits for wood carving are. Here are a couple shape variations you’ll see, and perhaps even end up using, but I wouldn’t say these are your set standard to have since that is going to be more tailored to what the job requires. Like I said previously, you are able to get a sense of what each one might do when rotating fast enough to shave wood. Cylinder and tapered shapes are best for heavy wood shaping and are the basic bits for that job at a half and/or 3/4 inch diameter (1/4 shaft, of course). Carbides and steel bits are excellent at giving that smooth finish similar to carving with a gouge. Pointed and tapered shapes, skinny or fat, are great for fine detail work that are best used with rubies and diamond bits. It’s no doubt they work best at high speeds. Decently cushioned sanding bits around 220 grit are handy if you are going all the way with power, however if you are roughing, then finishing with gouges, don’t sand. Sanding leaves an embedded grit in the wood which will quickly dull your gouges. However, that’s not a problem if you know how to sharpen your own tools, unfortunately lots of beginners do not and it is a huge pain working with dull tools. Also, the speed of the rotary tool is going to have a big impact on how well the bits work. That being said the sanding bits should be ran at a lower speed. The 3000 Dremel model handles detailed craft work easily without losing its ability to do bulk work. With an effective combination of comfort, power, handling, and cost, the Dremel 3000 has the ultimate recipe for the best rotary tool for wood carving. 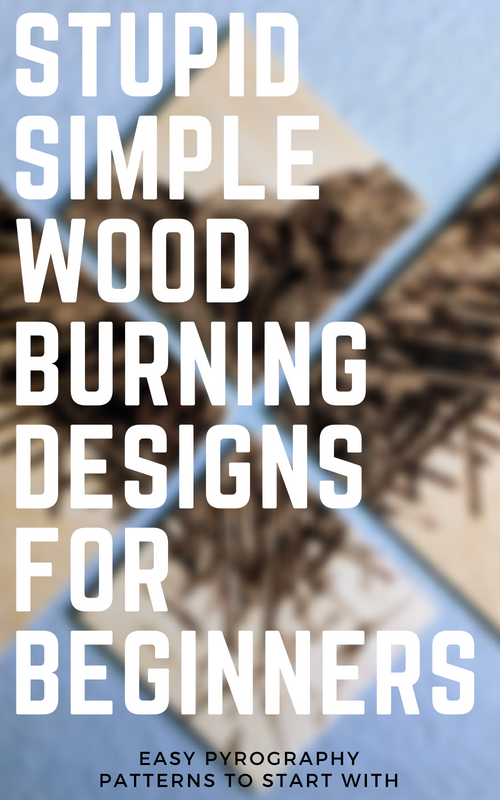 The standard bits that come with the kit are great for beginners, and as you progress through your experience with it you’ll want to try different bits that are more effective on wood. Thanks to its ergonomic design and rubber grip, it is light weight and comfortable to work with. The 3000 Dremel model has a 1.2 amp that reaches up to 32,000 rpms, which is actually a slower top speed than its big brother: the Dremel 4000 3/34. Even though the 4000 is faster, that doesn’t necessarily make it the better option. The 3000 reaches a good middle ground between heavy work and its ability to maintain precision at its preset speeds (5,000 – 32,000). That is something that is difficult to do with higher amps due to the vibration that is exerted from the tool, and if you’re familiar with power tools at all then you’ll know that accuracy and power are two words that are hardly ever heard in the same sentence. The 3000 is a little thinner, smaller, and lighter compared to the 4000, which plays favorably for the 3000 because that makes it easier to handle and comfortable to work with for an extended period of time. The fact that it is slightly smaller also is incredibly beneficial for detail work, and while the 4000 Dremel model has a higher top speed (only by 3,000 rpms), it isn’t enough to sacrifice accuracy when handling detailing work. There are hobby models that are even more accurate than the Dremel 3000 and outperform it in every aspect of detail work. The Proxxon IBS/E, for example, is well known for its ideal bur bits and accessories that are specialized for fine wood carving. However, all of these specialty centered appliances come with a price, double the price of the Dremel 3000 in fact. 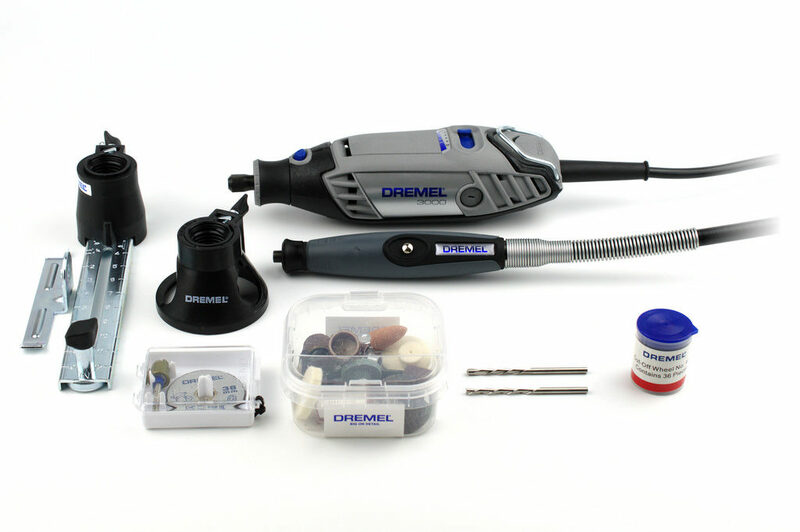 Which is not bad if you already have experience and know what you’re doing, otherwise the best Dremel for a beginner that will deliver in all aspects is the 3000 model. The big brother to the 3000 model…or is it technically its little brother because it is the latest Dremel child to release? Either way, if you are wanting more power to take on larger sized projects, the Dremel 4000 3/34 takes the cake. Speed has a huge impact on what materials you are allowed to work on with a Dremel. The harder the material, the higher the speed. The 4000 model maxes out at a top speed of 35,000 RPM while the 3000 max speed is 32,000. However, with great power comes…larger motors. Upgrade pick: More speed setting and power. Best Dremel for wood carving. Meaning it can be less comfortable to work with for extended periods of time compared to the 3000, but the additional power will get the task done in a shorter amount of time. If you plan on using it for hard materials then I recommend spending a little more to get the Dremel 4000. Its performance was tip top. Even though you can feel the extra force while using the power tool, surprisingly, it doesn’t have additional vibration. We want to use a tool with a good amount of power that is easy to control because detail work is all about accuracy. The additional power is noticeably helpful and if that is the determining factor for you but want the flexibility of use for fine detailing then I recommend getting the base model 4000 2/30 with the flex shaft attachment. The comfort and practicality of using this attachment compared to detailing with just the rotary tool is more than just noticeable. The difference is night and day. The WEN 2305 is going to be your best bet on an inexpensive rotary tool for occasional use, or if you simply aren’t sure which one to get. It isn’t going to be the best rotary tool for wood carving that is available, but with a variable-speed 1.0 amp motor (8,000-30,000 RPM) it is an adequate enough tool to not struggle cutting hardwoods and even metals. The kit comes with 100 pieces of accessories that include bits, sanding discs, polishing pads, and a lot more. The pricier models don’t even come with nearly that amount and for this model to have the best price and come with that many accessories, it’s almost unheard of. 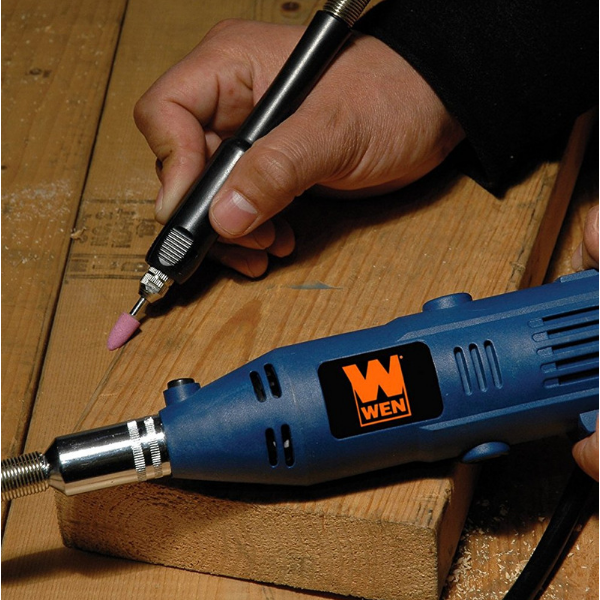 The WEN 2305 alone is not the most accurate tool available, and the disrupting vibrations from the motor reflects that preventing the user from keeping a steady hand during detail work. Had they not included the flex shaft attachment, then this option might not be worth it. The three and a half foot flex shaft works as an extension of the rotary tool to bring precise and flexible detailing operations that would otherwise be practically impossible to accomplish without it. While the flex shaft helps gets things completed faster with precision, it seems to have an overheating issue because in a decently short amount of time the tool got hot enough to need a break while the other tools I used were consistent. Oddly enough, I did not encounter the same overheating problem when the flex shaft was detached from the rotary tool. Other than that the tool and all it’s attachments work very well during operation. With just two collet sizes (1/8 inch and 3/32 inch) the WEN is limited compared to the Dremel models which have four collet sizes and are not compatible with Dremel collets, limiting the amount of bits it can use. Bummer. Still, for the price, this tool can’t be beat for what it can do and what it comes with. Due to varying factors like price and lack of versatility, these models below are ones that we found to be good power tools for carving but decided not to include them among the best options. The Proxxon IBS/E is a specialty rotary tool that is the best to have for smaller projects that require very intricate and accurate detail work for carving, etching, or engraving. 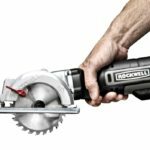 With a 1/8-horsepower (100-W) motor, this power tool for carving won’t have any vibration issues at any varying speeds from 5,000 to 20,000 RPM. 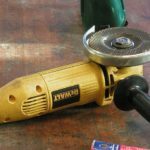 While the tool itself works incredibly well for what it is designated to do, the price of over $100 is a bit discouraging when considering its operating limitations for heavy work. 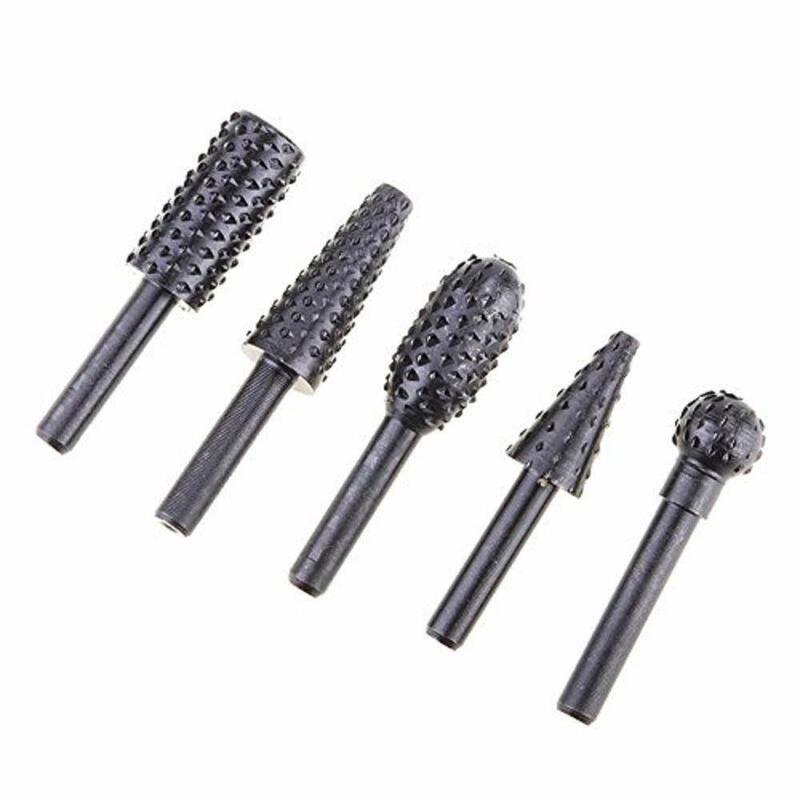 The Proxxon is accompanied with six triple-slit steel collets from 1/32″ to 1/8″ (1.0 -3.2mm) making it the most compatible rotary tool with any sized bits in this review. The Black+Decker RTX is a 3 speed instrument is the second cheapest option that we found available that was worth mentioning. It carries a 2.0 amp high-torque motor so it stays consistent even at all speed settings (12,000, 23,000, 30,000 RPM) Its rubber molded grip makes it easier to hold for extended periods and maneuver around for precision, but the excessive vibration could be troublesome without a flex shaft attachment. Still though, it is a lightweight industrial grade tool with plenty of power to stand up against any material for longer periods, and while the vibration makes it hard to keep steady, it seems pretty justified given the 2.0 amp motor and the price it is listed for. Anyone who is familiar with power carving with rotary tools is probably already familiar with the Foredom 5400 TX.It’s slightly more complicated than its competitors, however it is proven more effective and useful once you get the hang of it. The speed rotation isn’t actually controlled by the typical knob you turn, instead it utilizes a foot pedal and can reach up to speeds of 15,000 RPM. A 39 inch flexible shaft attached to a 44T hand piece with 3/32″,1/8″, and 1/4″ collets is included with the Woodcarving Kit. Before working on any type of wood with your power carving instruments, you NEED to have a mask on. 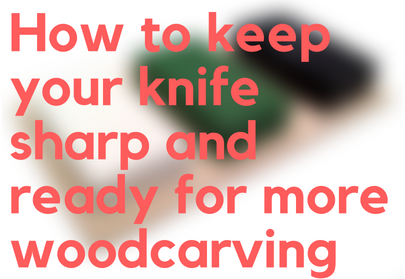 The dust that shaves off when using the best dremel tool for wood carving is small enough for you to breath in which can have severe long term effects and even short term damage to your body. Feel free to leave a reply in the comment section about what you’re favorite rotary tool is for carving wood!